We may not know this, but at this time we are just breathing, a lot of water from these rivers is being discarded to the oceans where they end in them. Longest Rivers in the World: The world is a wonderful place to live in. We must be thankful that on this beautiful place god made us human because we can witness the wonderful miracles here. The best miracle that lies here is the nature itself. The nature has world’s longest river, tallest mountains and types of animals more than our imagination. In this very section, we are going to talk about the longest rivers in the world. These are the rivers which starts from one country and end in another one. These are the rivers which our longer than our imagination could ever be. In fact some of the rivers are visible from the space too. These natural marvels are a treat to witness because some of these rivers are the largest fresh water sources in the world for various countries. Variety of Flora and Fauna is being developed around these longest river in the world. If you are getting curious to know that what are the longest rivers in the world then it is the time to unveil them all. Here is the complete details about the top 15 longest rivers in the world and their complete description. I hope this section would increase a lot of your knowledge. 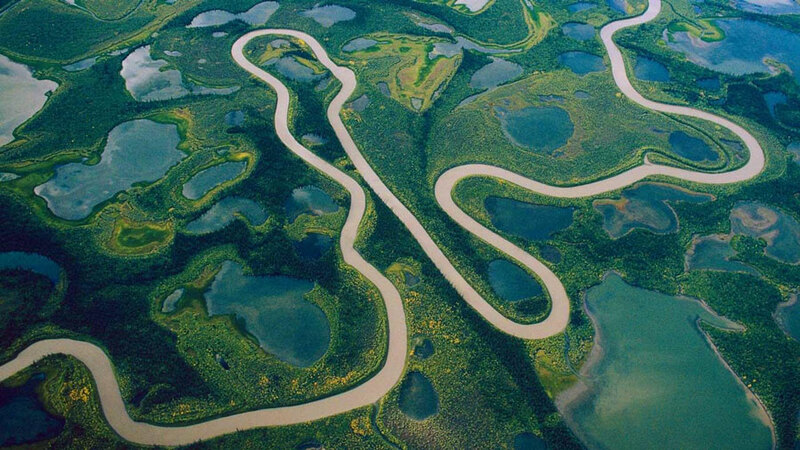 The 15th spot and our first pick in the category of longest rivers in the world is Mackenzie River. It flows down through Canada and cover the regions of Yukon and Northwestern Territories. The source of this river is Slave River. The length of this river is believed to be about 1,738 km or 1080 miles. However, the length of this river varies according to the point of source and associated rivers taken. The basin covered by this river is 1,805,200 km square. 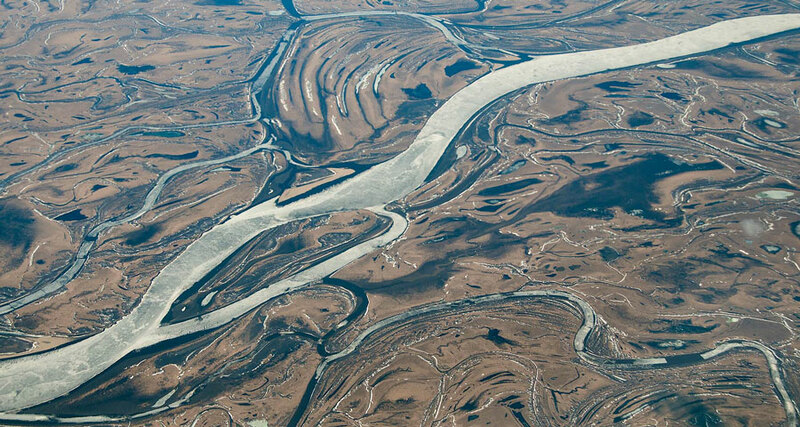 Mackenzie River forms the largest and longest river system in the entire Canada after Mississippi River in North America. There are various tributaries which flows down through the Mackenzie River into the various parts and provinces of Canada. It covers an area of drainage which is equal to Indonesia. This is surely one of the longest rivers in the world which flows down in the Arctic Ocean. The drainage basin of Mackenzie River is the largest in Canada which is nearly 20% of the country. If all of its stretches are accounted then it covers a length of 4,241km. Now we are talking about the longest river in the entire Europe which is Volga River. The country in which it flows/originates is Russia. The source of Volga which is one of the longest rivers in the world is Valdai Hills, Tver Oblast. The length of this river is 3,692 km or 2,294 miles. Volga is not only the longest river in the Europe in terms of its length but also in terms of the water it sheds while discharging. The river discharges in Caspian Sea and forms a basin which covers an area of 1,380,000 km square. Volga River is also known as the national river of Russia. Out of 20, eleven largest cities of Russia, including Moscow are located in the watershed of Volga. This river has a lot of importance for Russia and it is sometimes referred as the Mother Volga in various Russian literatures and folklores. The major tributaries of Volga are Kama River, Oka River, Vetluga River and Sura River. Volga is also the only home to Pelicans, Lotuses and Flamingos in Russia. Niger River is the most important river of the entire Western Africa. It originates in Guinea Highlands and covers different countries like Guinea, Mali, Niger, Benin and Nigeria. The length of Niger which is one of the longest rivers in the world is 4,180 km or 2,597 miles. The drainage basin covered by the Niger River is 2,117,700 km square in area. The Niger River discharges in the Atlantic Ocean through the Gulf of Guinea forming a large Niger Delta. After the Nile River and Congo River, Niger River is the largest river in Africa. There are various tributaries of this river but the main is Benue River. Niger River is quite clearer as compared to the other rivers listed out here. Regarding one of this longest rivers in the world, it contains only tenth part of the sediments as compared to Nile River. There is an annual flood which takes place in this river which starts in September, goes highest in November and ends around May. The seasonal flood increase the productivity of its delta in terms of agriculture and fishing. Mekong is a river in Asia which originates at Lasagongma Spring and covers different countries like Myanmar, China, Laos, Thailand and Vietnam. The length covered by one of this longest rivers in the world is 4,350 km or 2,703 miles. Mekong is the 12th longest river in the world and 7th longest in Asia. Through its drainage basin it covers an area of 795,000 km square and discharge 475 km cute of water annually. Mekong River connects six countries and they have signed a treaty according to which they cooperate together for its management and care. Mekong River is also an important and major trade route between Southeast Asia and Western China. Mekong River flows into the South China Sea and forms a large delta namely Mekong Delta at its mouth. The basin formed by Mekong River holds the unique and one of the most diverse ecology in the world. It includes 20,000 species of plants, 430 of mammals, 1,200 of birds, 850 fishes and about 800 species of reptiles. Our 11th pick in this list of longest rivers in the world is Lena River. It is a really long and one of the most important river in Russia. The length of this river is 4,472 km or 2,779 miles. The origination point of this river is believed to be Baikal Mountains, Irkutsk Oblast in Russia. The watershed by Lena River is the 9th largest in the world and not only this river is a prime rive in Russia but it is the 3rd largest river in Asia too. The major tributaries of Lena River are Kirenga River, Vitim River and Olyokma River. Lena River empties out in the Laptev Sea which is a division of Arctic Ocean. While being emptied out it forms a basin which covers an area of 2,500,000km square. It also forms a really large delta called Lena Delta which covers an area of 30,000 km square. There are variety of Flora and Fauna which survives on the water of one of this longest rivers in the world. After Amazon, Parana is the second longest rivers in the world which hails in the South American region. It covers different countries like Argentina, Brazil and Paraguay in the course of its flow. The length of Parana River is 4,880 km or 3,032 miles. The primary source of this river is Paranaiba River and the secondary source is Rio Grande. The basin formed by Parana River covers an area of 2,582,672 km square and it discharges into Atlantic Ocean in Argentina. The meaning of the name of the river turns out to be true for its vast area which is “like the sea”. The Parana River forms a delta called Rio de la Plata by merging with two rivers called Paraguay River and Uruguay River. Parana River is surely one of the longest rivers in the world as it covers a really large area in its course. The watershed of the Parana River contains a lot of large cities like Brasilia, Buenos Aires, Sao Paulo and Asuncion. The delta formed by Parana River is considered as the prime destination for bird watching. 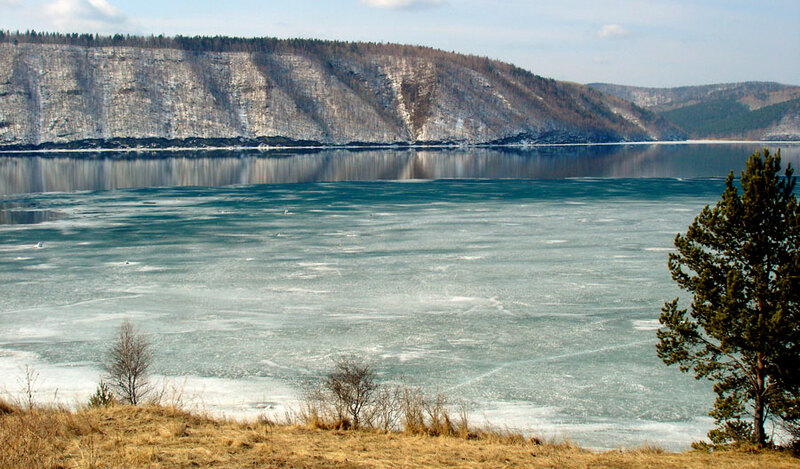 Amur River is one of the longest rivers in the world which flows down through Russia and China. The primary source of this river is Onon River-Shilka River and the secondary source is Kherlen River-Ergune River. These two sources confluence together at near Pokrovka. The length of this river is 2,824 km or 1,755 miles. The basin formed by this Amur River covers an area of 1,855,000 km square. This river basically forms a border between Russian Far East and Northeastern China. 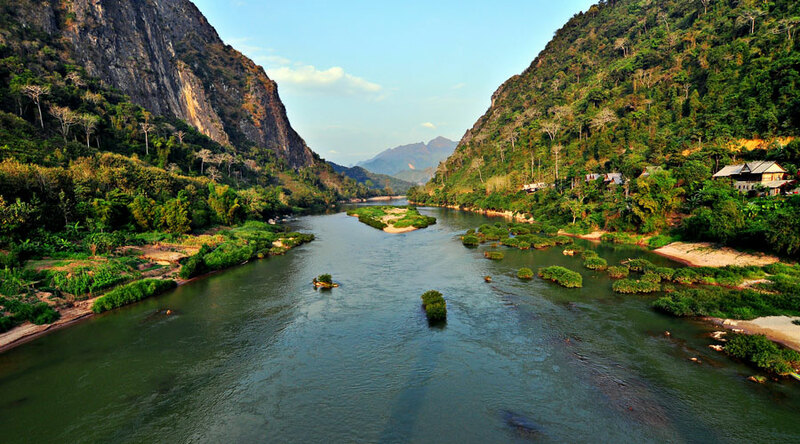 In China, the river is known as Heilong Jiang which means Black Dragon River. The two most important tributaries of this river is Huma River and Zeya River which widens it more. The Amur River empties out in Pacific Ocean and at the mouth it faces the northern end of the island Sakhalin. There is also a bridge formed on this river which is one of the longest rivers in the world. This bridge connects the Russia and China provinces. 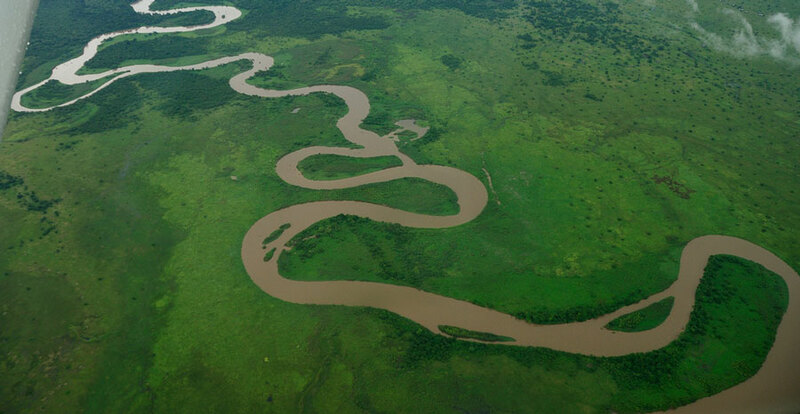 Congo is a river in Central Africa which is one of the longest rivers in the world. The main source of this river is Lualaba River and it covers a length of 4,700 km or 2,920 miles. It also covers different countries like Angola, Cameroon, Gabon, Rwanda, Tanzania, Zambia and Central African Republic. The Congo River forms a basin which covers an area of 4,014,500 km square and its maximum discharge is 75,000 m cube per second. Congo River is the 2nd largest river in the world in terms of discharge after the Amazon River. Congo is also the deepest river in the whole world having a depth of 220m or 720ft. 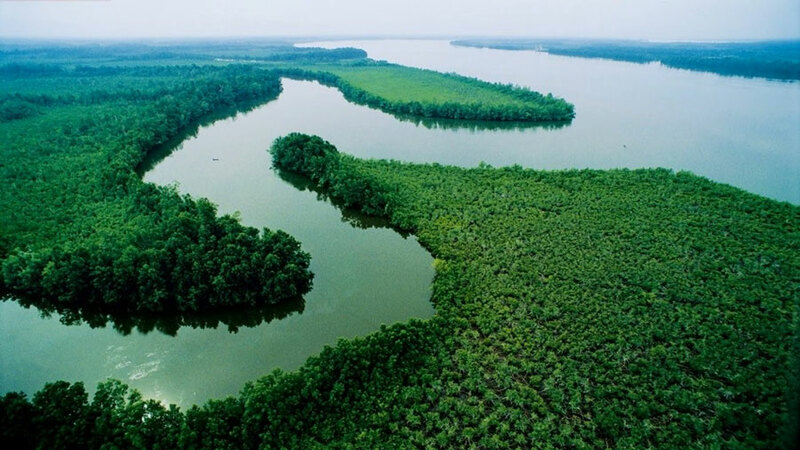 Congo River flows through the second largest rainforest in the world namely Congo Rainforest. The river lies in both the parts of the equator and therefore its flow is always balanced as either of the part is always rainy. This keeps the flow heavy and therefore result in large discharge of one of this longest rivers in the world. The 7th pick in the category of longest rivers in the world is the Yellow River. This river flows in China and covers a length of 5,464 km or 3,395 miles at a stretch including all of its tributaries. The origin of this river is believed to be Bayan Mountains which is in Yushu Prefecture in Qinghai. The Yellow River empties out in the Bohai Sea and the basin formed by this river covers an area of 752,546 km square and its discharge rate is 2,571 m cube per second. After Yangtze River, this is the largest river in the entire Asia. This is one of the longest rivers in the world and it covers nine provinces in China. In the early Chinese history, it was the most prosperous region. There are always some frequent flood occurrence in this river and therefore it is also called China’s sorrow and scourge of the Sons of Han. One of the flood occurred in the Yellow River of China is the only natural disaster that has killed millions of people. Now we are talking about the 6th spot of our list of longest rivers in the world which is the Yenisei River which is also known as the Angara River. It hails in the countries of Mongolia and Russia. The source point of this river is Mungaragiyn-Gol and from its origin point it covers a length of 5,540 km or 3,442 miles including all the tributaries. The basin formed by this river covers an area of 2,580,000 km square. This is not only one of the longest rivers in the world but also the largest river flowing in the Arctic Ocean. The Yenisei River flows into the Kara Sea and it forms the Yenisei Gulf in this process. The maximum depth of this river is 24 meters or 80 ft. The tributaries of this river are Angara, Tuba, Nizhnyaya and Tunguska Rivers. The Yenisei River is home to 55 types of fish species and other types of flora and fauna too. Ob River is not only the 5th longest rivers in the world but also the second longest river in Asia. The river majorly flows in Russia and covers a length of 3,650 km or 2,268 miles. The primary source of origin of this river is Katun River and the secondary source of this river is Biya River and the point of confluence of these sources is near Biysk. The basin formed by this rive which includes itself in one of the longest rivers in the world covers an area of 2,972,497 km square. The primary and secondary rivers that form the Ob River originates from the Altay Mountains. It forms the Gulf of Ob at its discharge which is the longest estuary in the world. The river empties out in the Arctic Ocean. The major flow of Ob remains entirely in Russia, whereas some of its part flows in Kazakhstan, China and Mongolia. There are different tributaries which join this river to expand its flow even more. Mississippi is the largest river system in the entire North America. It covers different states of United States which are Arkansas, Minnesota, Illinois, Wisconsin, Kentucky, Lowa, Tennessee and Mis Louisiana. The source of Mississippi River is Lake Itasca. The length of one of this longest rivers in the world is 3,734 km or 2,320 miles. This river forms a huge basin of 1,151,000 km square. The river flows entirely in the United States only. The Mississippi River empties out into the Gulf of Mexico by forming a delta called Mississippi River Delta. 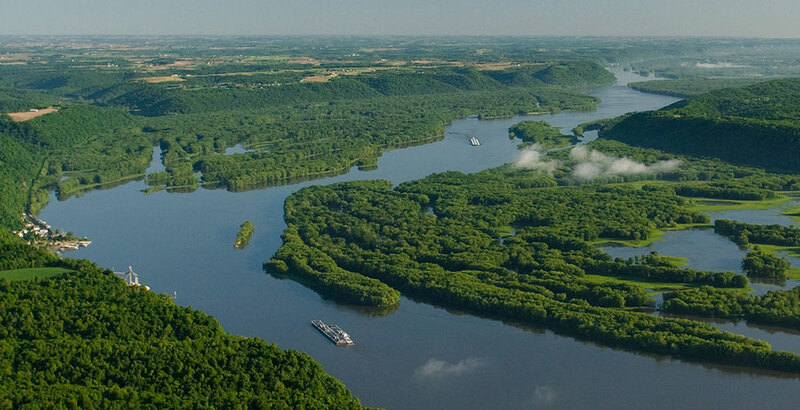 Mississippi River is not only the 4th longest river in the world but also the 15th largest river in the world. 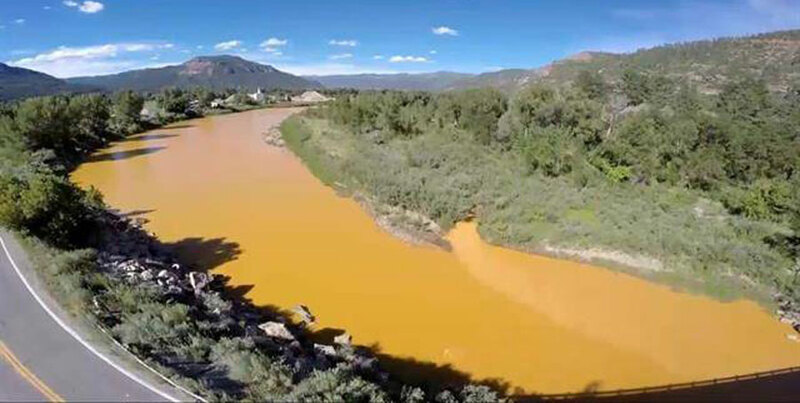 This river has always been a great source for the agriculture of the different states of United States. This is one of the longest rivers in the world which also serves as the pathways between two or more cities or even states. With the passage of time this river became more prominent source of trade and travel in the North American region. 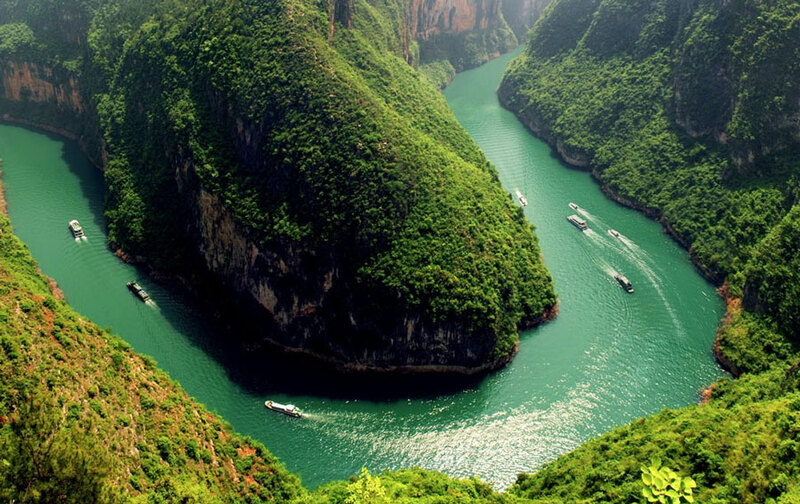 Yangtze River is the 3rd spot winner of our list of longest rivers in the world. It is a river in China which is also happen to be China’s longest river. The source of Yangtze River is Geladaindong Peak which is on the Tanggula Mountains. The length of this river is 6,300 km or 3,915 miles. Yangtze River gets emptied in the East China Sea which in Shanghai. White being emptied out it forms a basin which covers an area of 1,808,500 km square. The literal meaning of the name of Yangtze River is “The Long River”. Yangtze River is also the longest river of Asia. Among all the longest rivers in the world to flow entirely in only a single country which is China. The river basin formed by Yangtze River acquires one third of the country’s population. The discharge volume of the basin formed makes it the 6th largest river in the world. This river plays an important role in the culture and trade of China which has only increased its economy. Now, we are talking about the longest river in South America and the second longest river in the world. Amazon River covers countries like Peru, Colombia, Brazil and Ecuador and flows through a length of 6,992 km or 4,345 miles (covering all the stretch). The Amazon River originates through Rio Mantaro and flows down in Atlantic Ocean by forming a really huge delta which is also called false delta. The Amazon River forms a really huge basin while discharging which is the largest in the world. 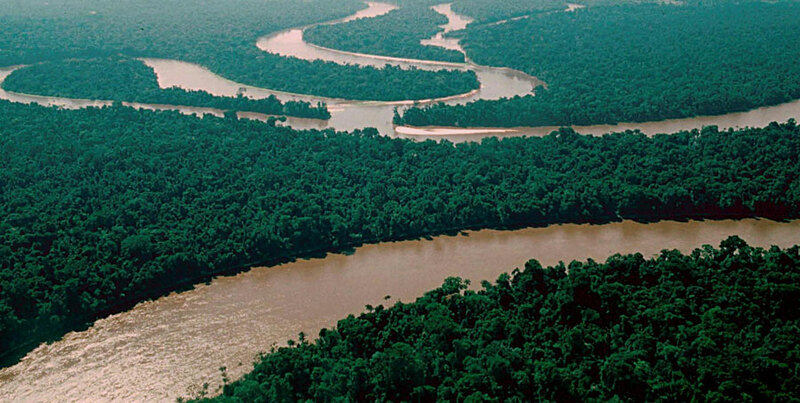 Amazon which is one of the longest rivers in the world covers an area of 7,050,000 km square. This discharge is greater than the other seven largest rivers in the world combined. During the dry season the width of this river remains 11 km which becomes about 40 km in the rainy season. Among all the amount of fresh water that enters into the ocean 20% of it is contributed by Amazon River. The Delta formed by it is called false because it is formed by the sediments pouring out when the river flows into the ocean. Nile is surely the winner of the list of longest rivers in the world with a length it covers which is 6,853 km or 4,258 miles. The source of the Nile River is divided into two parts namely White Nile and Blue Nile. These sources confluence near Khartoum. Nile is so long that it covers different countries like Sudan, Egypt, Ethiopia, Uganda, Kenya, South Sudan, Congo-Kinshasa, Burundi and Eritrea. There have always been conflicts around the length of Amazon and Nile. But most of the geologists consider Nile to be the longest river in the world. Nile is the primary water source in the countries like Sudan and Egypt. The major tributaries of Nile are White Nile and Blue Nile. The northern part of the river discharges into Mediterranean Sea forming a large Delta. Among all the longest rivers in the world, Nile discharges a huge amount of water and forms a really large basin covering an area of 3,400,000 km square. However, it is still less than the Amazon River. Nile is really crucial river in terms of business and ecology.